Emile Smith Rowe is glad to be back to the field for competitive football once again. The Arsenal midfielder signed for RB Leipzig in January but has not made any appearance for them until yesterday. This was so because he had picked up a fitness problem prior to the completion of his loan move. Smith Rowe made a 90th-minute substitute appearance for the Bundesliga side against Wolfsburg on Saturday and even though he could not have much play, he is consoled by the reality that he is making progress. The few touches made by the 18-year-old is a piece of evidence that he has got so much to offer. He created a spectacular chances for a teammate who called the opposition goalkeeper into action. 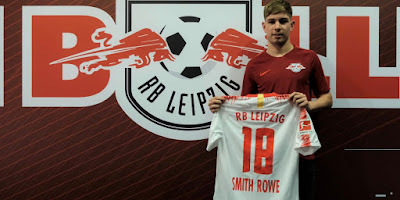 Leipzig have got six more games before the end of the season - Smith would be looking forward to getting selected for the last set of ties.